With the help of Technology, many things are made easy, as people can now carryout things with ease and same time very fast without being stressed out. The Amazing thing am about showing everyone now, might seems to be impossible for some people, but its working perfectly. 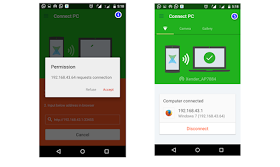 So after the tutorial on this trend, on how to transfer file via Xender from PC to Android Mobile Phone or from Phone to PC/laptop. All will now see the magic lols. Before, it used to be that one can only transfer files form his/her PC to mobile Phone or from mobile Phone to PC with the use of USB cable cord, and most of us taught it’s the fastest and easiest method to use when transferring file from the two gadget (PC and mobile Phone). 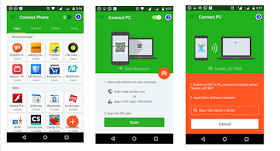 Xender App allow you to transfer files and folders of larger size via computer which also is the best way for file sharing pc to android phone or we say sharing files between Windows and Smartphone devices. Bravo, that's all, as you can now share files like games, videos, PDF, music, pictures/images, themes etc with xender from your PC to mobile phones or from Android devices to PC. Have any contribution, kindly use the comment box below for it. Don't forget to share with friends.